The figure below shows the PANCE pass rates for the last five classes of South College graduates. 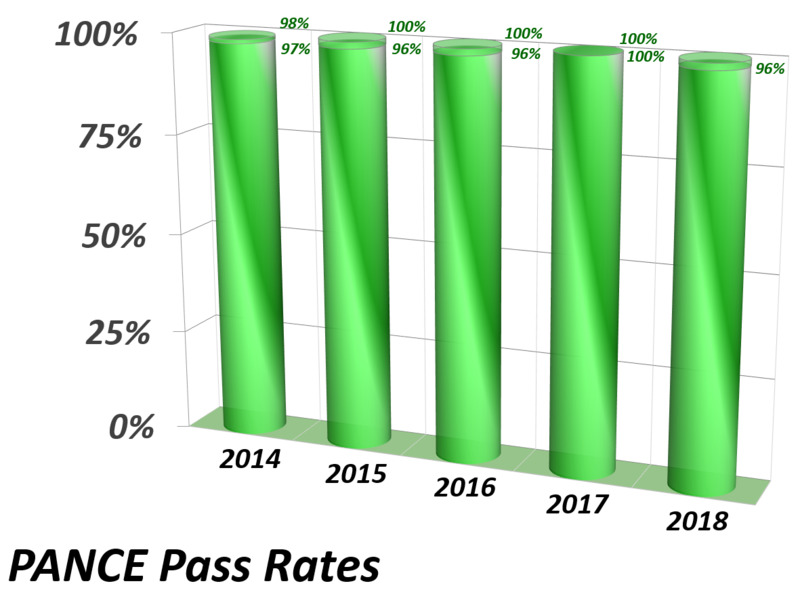 For each year, the lower number is the percentage of students in the class that passed the exam on the first attempt. The upper number is the total percentage of students in the class that passed the exam following re-examinations.